I just received the sad news from Jeff Johnson that Micheáll Ó Domhnaill, the guitarist and composer with The Bothy Band and Nightnoise passed this weekend after suffering from a heart attack. He was only 54. I first heard Micheáll in the 1970s when The Bothy Band was among a host of groups kick-starting a renaissance in Irish and Celtic music. 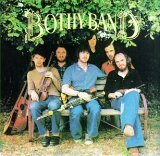 The Bothy Band came together in 1975 with guitar and bouzouki player Dónal Lunny from Planxty, uillean piper Paddy Keenan, flute and whistle player Matt Molloy, fiddler Paddy Glackin, and accordion player Tony MacMahon. But it was the arrival of siblings Mícháel Ó Domhnaill on acoustic guitar and Tríona Ní Dhomhnaill on clavinet and vocals that gave the band its signature sound. The band split up in 1979, but not before Windham Hill Records founder Will Ackerman had heard them. Anybody who has ever heard The Bothy Band, you know, what can you say? To hear Micheáll and Tríona in The Bothy Band, that Old Hag You’ve Killed Me. Incredible record. And so I guess we were doing the soundtrack for Country at the time and Tom Bocci, who was in publishing at Disney, said hey listen, I’ve got this thing that I think you might be interested in. And he played a little of it for me and I said God, there’s something in here that’s really familiar to me. And he said, well do you know The Bothy Band. And I just went nuts. And he said this is Micheall, you know, and I said God, great, I love it. So get me more. And that’s where Nightnoise came from. It was my love of Bothy Band. Micheáll Ó Domhnaill from Echoes interview: We were pretty handcuffed and anchored by the tradition so we could still write music outside of the strictures of 6/8 time or 4/4 time, but they couldn’t but sound Celtic because I’m Irish and whatever I write would have elements of the sum total of the listener experience I’ve had throughout my life. So the Celtic music is still there, the structure of the music is just different. 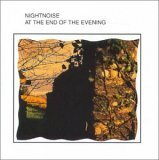 Nightnoise released several wonderful albums on Windham Hill and they remain staples of Echoes to this day. They officially called it quits last year, but had effectively been defunct for nearly a decade. Here’s a few CDs that represent Micheáll Ó Domhnaill at his best. 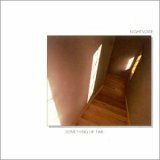 This entry was posted on Monday, July 10th, 2006 at 3:25 pm and is filed under Musical Genres, Echoes Interviews, Acoustic Guitars, Celtic, Windham Hill. You can follow any responses to this entry through the RSS 2.0 feed. You can leave a response, or trackback from your own site. 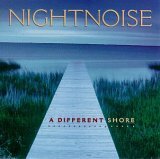 Our deepest sympathies to the family, friends and surviving members of Nightnoise from all of us at SRO Artists Inc. It was our pleasure to work with Micheáll from 1989-1997 and we will mourn his passing.